New Wave Domesticity: 10 Plants Perfect for Containers! Spring is in the air and that means it is time for planting and planning gardens! Spreadsheets are being made and seeds are being sown as I plan out this year's garden. I'm lucky to have a garden plot in my yard, but I also really love doing container gardening on my deck. I've actually found that I sometimes prefer container gardening because I love that it allows me to have a little more control of the plants I'm growing. Also, since I live in a rental and live on a budget, I feel a little happier to make investments in things that I could bring with me if I move rather than working hard to make soil improvements on a plot I may not own in a few years. Whatever the reason, container gardens are really fantastic because they are fun, productive, and great for any budget or space! Today I'm sharing 10 of my favorite plants to grow in containers. I think a lot of them might surprise you! The possibilities with container gardens are huge! 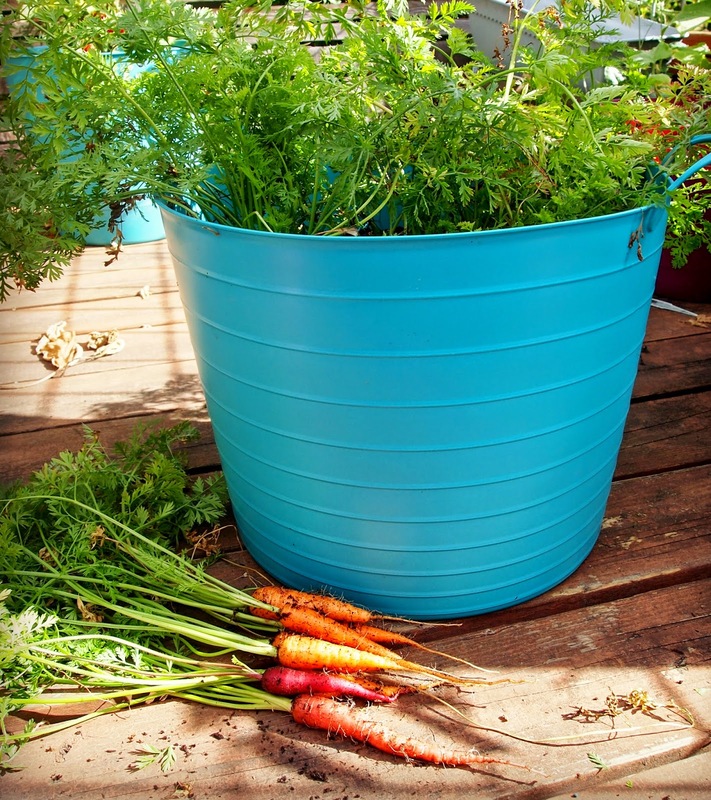 Pots are great for root vegetables like carrots because you have complete control of the soil, so you can be sure to keep the growing area soft with rock-free for perfectly straight carrots. You can also keep the soil warmer by allowing more surface area to be warmed by the sun which will help your growth get a jump start. You need a deep pot, ideally with straight sides instead of tapered, at least 8" tall. Varieties like Denver Half Long & Nantes are best with pots because they are a bit shorter. Zucchinis are well known as the gardener's friend because they are prolific producers, but what if you don't have the space or a yard to grow one? Never fear, zucchini can actually be very happy in pots! I was able to get an amazing harvest out of a potted zucchini last year and it outdid the one I had in the ground. 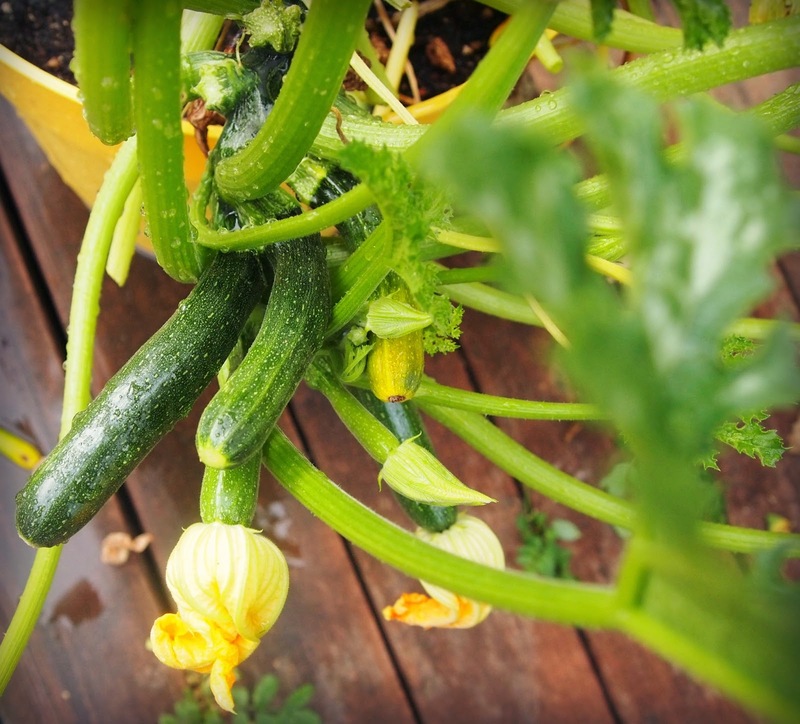 Use a 10+ gallon pot and remember that zucchini is prone to leaf mold, so whenever possible try to water them at the base and keep their leaves dry! Although full-sized watermelons might not be the best choice for a container garden on your terrace, there are more compact varieties that thrive in containers. Small melons like sugar baby, golden midget, emerald gem, or moon and stars are ideal. Plant them in a 5+ gallon container in full sun. 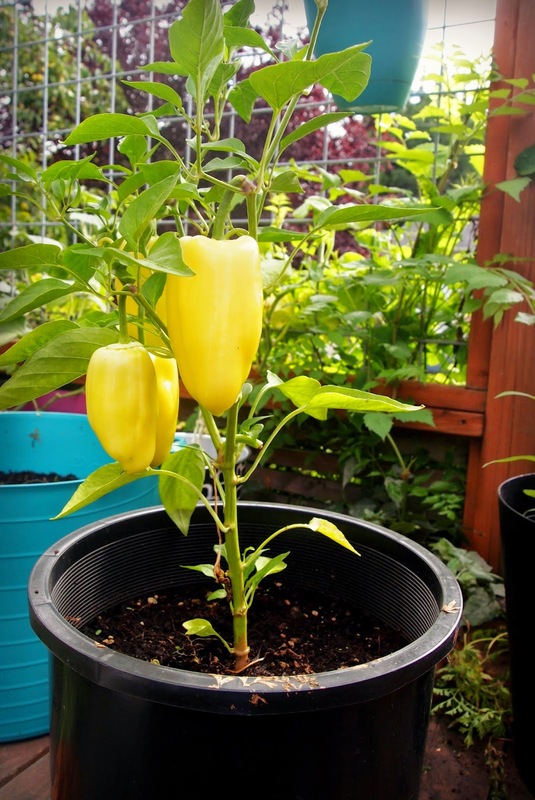 I have had no luck getting peppers to grow in the mild Pacific NW summers because peppers love heat. The pot helps the temperature of the roots stay a bit warmer with the extra sun exposure on the outside surface area. Just about any variety will grown in containers 5+ gallons with full sun. 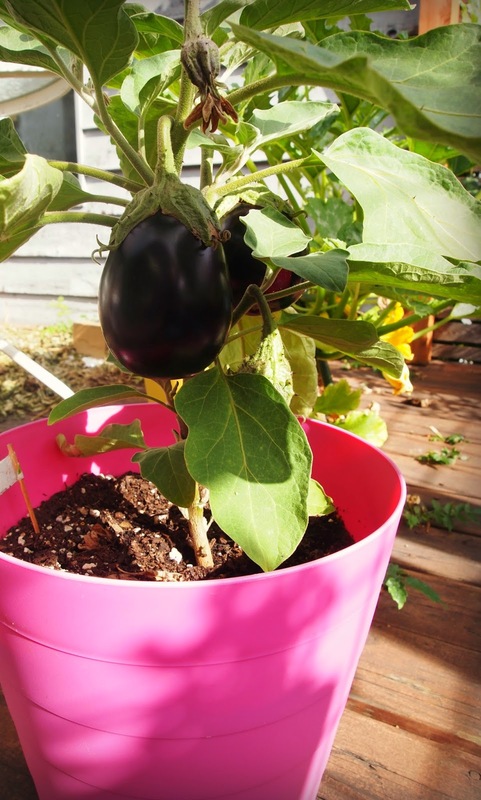 Eggplants are another heat loving plant that I've had better success with in pots than in beds. I perfer the smaller, long chinese style - ichiban for high yields, but I've also had great success with the more traditional larger black beauty and white eggplant. 5+ gallon pot with full sun will do the trick and they may also require a support cage or pole as they start producing! 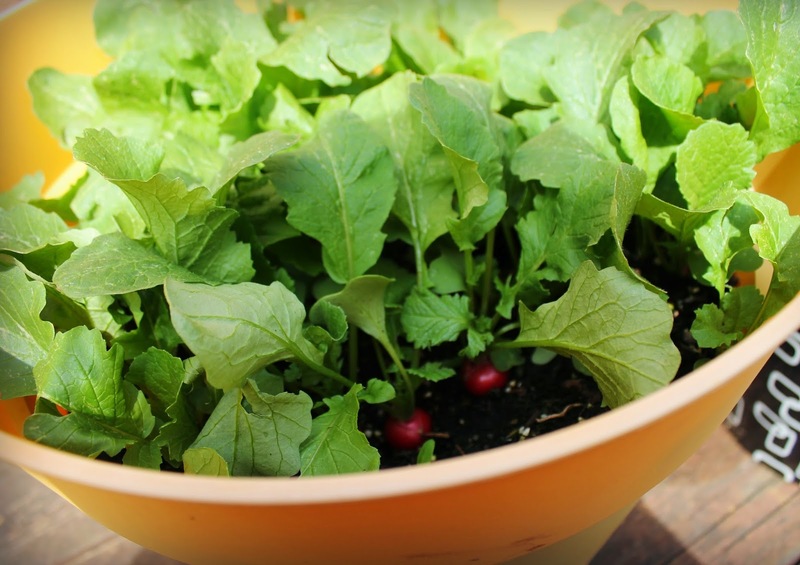 The great thing about radish are that they are both early planters and quickly ready to harvest, so you can plant a crop and harvest and then be ready to use your pot for another plant that gets sown later in the season. This year, I am using my large tomato and zucchini 10 gallon pots for radish in the spring and I will be able to harvest them by May and plant my summer crops in the same soil after I give it a little nutrition boost. You can use just about any smaller variety or radish like cherry belle or french breakfast . Larger varieties like diakon or watermelon radish can work in pots, but they require more spacing per plant and take longer to harvest. Cucumbers are probably my favorite thing to grow, they are perfect for pickles or summer salads - just the perfect summer flavor to me. 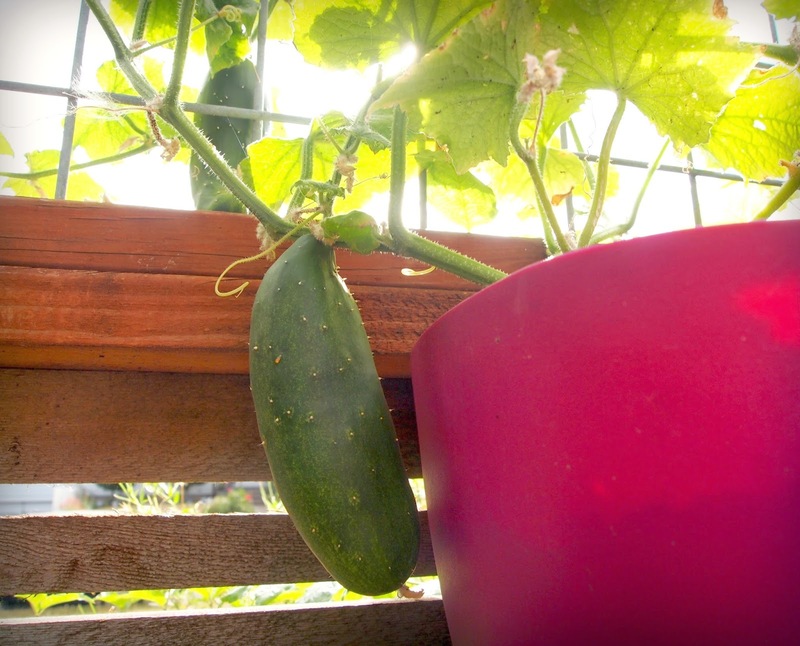 Cucumber will happily grow in 2.5+ gallon pots in full sun, but they do require a trellis to vine upwards. 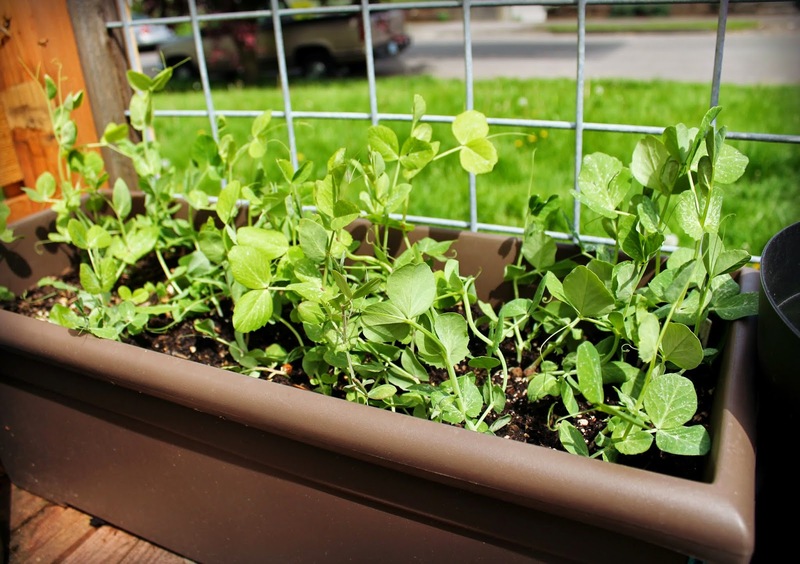 You can also use longer rectangle containers and grown multiple plants up the same trellis. Tomatoes are happy to have the extra heat that comes with pot. Plant in 10+ gallon pots. Compact varieties like patio, stupice, or supersweet 100 are perfect for pots as they don't get quite as tall. You still will need a small cage or pole to help support the plant. Happy tomatoes need full sun, lots of water, and regular feedings. It might surprise you, but you can grow pounds upon pounds of potatoes without an ground garden plot! Potatoes do best in at least a 10"+ deep container as they are root veggies and need all the space they can get. The more space you give them, the more they will produce. There are also a lot of great guides to inexpensively create potato towers with chicken wire and straw, but some of these type of containers do best over soil. Peas are great for pots! They require very little root space and grow vines vertically with pretty tight spacing between plants, so you are really able to grow quite a lot of plants in a small space. Peas just need a trellis to grow upward. If you have a balcony, you can simply weave string between the railing to give the vines something to hold onto. Just about any pea will grown in a pot, but smaller varieties like little marvel grow a bit more compact while still showing great yield. Peas are easy to grow from seed and should probably be in the ground right about now (or a few weeks ago! ), so get started! 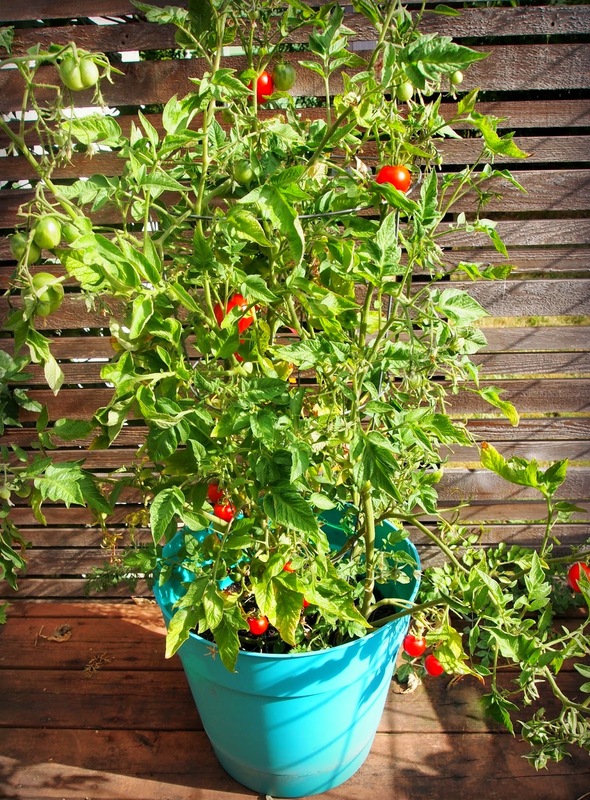 What are your favorite plants to grow in containers? What did I miss? This is great advice! I'm desperate to start a garden! Great ideas Sarah! We are blessed to have a large sunny backyard spot for a garden. I just harvested our first crop of the season - radishes. They are easy to grow. 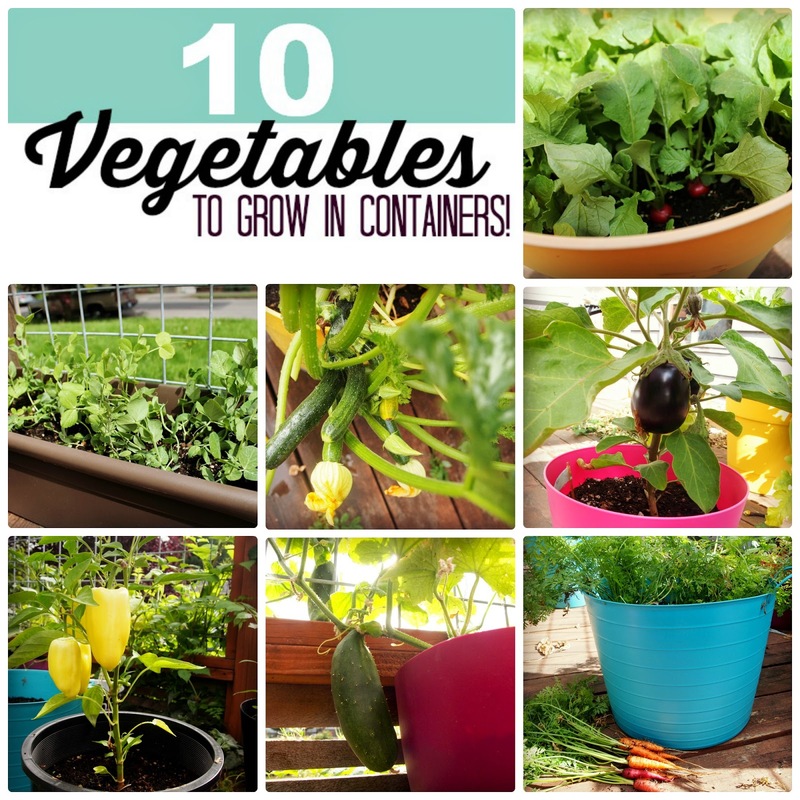 I've not grown veggies in containers, so this post inspires me to try! Where did you get those great aqua containers? New to your blog -- love it!